These educators, parents, and friends have great things to say about Encore! Charles R. Snyder is an inspirational Ohio music educator and an important part of thousands of young people’s lives. 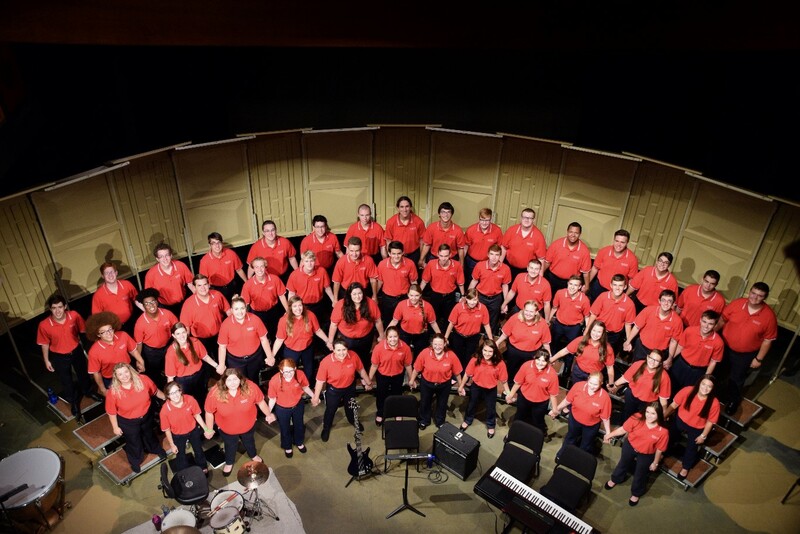 When I sent a young man from my choirs to the All-Ohio State Fair Youth Choir for a summer in the mid-90s, I had no way of knowing how important that experience would be. The young man came back from his summer with Chuck, and talked about the wonderful music, the many friends, the hot summer days, but most of all about his new friend – Chuck Snyder. EVERY OTHER STUDENT I recommended and who participated in Chuck’s choirs returned with the same love and gratitude for a rich experience. Chuck is an amazing friend and talented musician, with a gift for putting together programs filled with choral music literature from A to Z. He draws out the best of each singer and they commit to hiswork ethic because they believe in him and his values. Chuck teaches and directs the musicians but more than that, heloves and inspires the young people. Whether or not they become professional singers, they have experienced gifts tomake them lifetime musicians. Chuck treats each choir member with respect, dignity, and unconditional Christian love. I am proud to know him and recommend his new endeavor. It is a pleasure to recommend the 2014 Encore! Honors Choir to high school choral directors throughout the state of Ohio and beyond. Charles R. Snyder is the director of the camp, and those who have experienced his work with young voices will readily know the quality he represents in the choral arena. I offer my fullest endorsement of this Honors Choir and the high quality of training Charles R. Snyder offers to those students who attend. What a wonderful opportunity to sing together in a safe and nurturing setting! As usual, Mr. Snyder and his experienced staff will help students develop their confidence and choral music skills, while learning more about self-discipline and team work… and while having tons of fun! Throughout my career, I’ve had many students privileged to have the opportunity to work with Mr. Charles R. Snyder through our county’s Honor Choir, the All-Ohio State Fair Youth Choir, and the Cardinal Chorale. Without a doubt, every single student has been “changed for the better” as a result of working with and knowing Mr. Snyder. His love for music is contagious and his love for people is obvious. I feel confident recommending this new Encore! Honors Choir summer experience to my students and others because I know with Mr. Snyder’s leadership, it is sure to be an extremely rewarding and life-changing musical experience! We are so glad to hear that you will continue to lead and inspire our youth in an environment that promotes not only music, but creates life-long friendships, encourages a healthy respect for self and others, and strives to allow individuals to be the best they can be. We wish you nothing but success and can guarantee a few more of our children will get the pleasure of learning from you. I have known Charles R. Snyder for over 20 years. He is the consummate music professional. I was so excited when I heard that he was offering a music camp to high school students. I would encourage choral directors to support this camp. Charles R. Snyder is a caring individual who provides excellent vocal training and even more, he provides life skills. I have had many students over my 40-yer career, including my own daughter, participate in groups that he has directed. All of my students came away from the experience improved musicians and simply better people. What Mr. Snyder will give your students is more than just a musical experience; he will give them good direction on living a joyous life and enjoying music as a wonderful art form. I highly recommend the Encore! Honors Choir. You will not be disappointed! I am pleased to recommend – highly recommend – the Encore! Honors Choir. As a choral composer I have worked closely with Charles R. Snyder over the past thirty years in creating new music for his various groups. I can heartily endorse his stellar work as a master choral conductor and teacher. Not only do his students experience first-hand the joys of well-ordered music, they learn many life lessons as well. The discipline of giving one’s very best to a worthwhile cause, the art of balancing art, mind, spirit, and body in the pursuit of musical excellence, the art of “passing it forward” as new singers come on board – all of these qualities and many, many others are a part of the work ethic and philosophies of Chuck and his dedicated staff assistants. The Encore! Honors Choir is destined to be a tremendous success. Of this I have no doubt whatsoever! Director Charles R. Snyder inspires excellence and musicality through choral music. Chuck has the innate ability to reach all levels of talent and all types of personalities. Through his musical gifts, his enthusiasm and his genuine concern for people, he has developed outstanding choral programs. In rehearsal, proper vocal and choral techniques are taught and the importance of vocal health is stressed. I highly recommend the summer program – Encore! Honors Choir – for all teenage vocalists. What I read on your website makes even me want to apply. Do you think an 81-year-old tenor would be acceptable? You get to stay young, because you’re dealing with the souls of teenagers. When you mold them into a singing unit, they will always remember how a fine chorus should sound. When you studied with Ellis Snyder, he gave you far more than choral technique; he shared with you his wonderful spirit. You are paying it forward. May God bless you for that. It is my privilege to recommend the Encore! Honors Choir as an outstanding opportunity for music students to learn and grow both musically and as individuals. As a gifted services coordinator for twelve school districts, I have has many opportunities to observe Charles R. Snyder as an instructor and am always amazed by his professionalism and what he is able to accomplish with our students. He served as guest conductor for the Scioto County Honors Musical Festival a record-setting seven times – more than any other guest conductor in the Festival’s 72-year history! Our high school choral directors love Mr. Snyder’s passion for music and the way he brings out the very best in their students. Students appreciate Mr. Snyder’s sincerity and they always live up to his high expectations of them. I have not doubt that the Encore! Honors Choir will be an enriching and rewarding experience for those who participate! Want your choir students to begin the school year with enthusiasm, strong leadership, and better musicianship? Have them attend the Encore!Honors Choir, under the direction of Charles R. Snyder and his staff. I have heard Mr. Snyder’s choirs over the past 30 years and they get better and better every year. The nuances and emotions that he draws from singers can be astounding. Your students will improve musically, emotionally, and personally. I cannot recommend a better music camp or experience. When I was in high school, I never thought l I would become so emotionally attached to a group like this. Even in college it’s not really the same community. I am a better person because of groups like this one and Mr. Snyder’s leadership. I would highly recommend this summer camp for singers. Emily [my daughter] and I know most of these staff members personally through her participation in choirs under their leadership between 2007-2010. Their guidance and skills, both professionally and personally, are absolutely top notch. The fee is a bargain for what will most likely be an experience to be remembered a lifetime. Charles R. Snyder was a student of mine in the Conservatory of Music at Capital University, and I have followed his choral achievements with The Cardinal Chorale, the Coshocton Community Choir, and the All-Ohio Youth Choir for many years. Besides his fine work with adult choirs, his choral work in Ohio has left a lasting love of singing with thousands of young people. I highly recommend this Honors Choir to our music colleagues for their students.